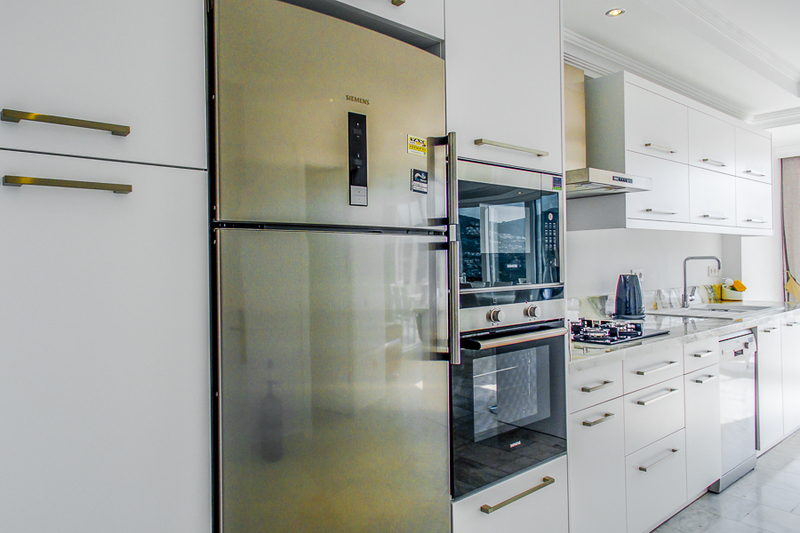 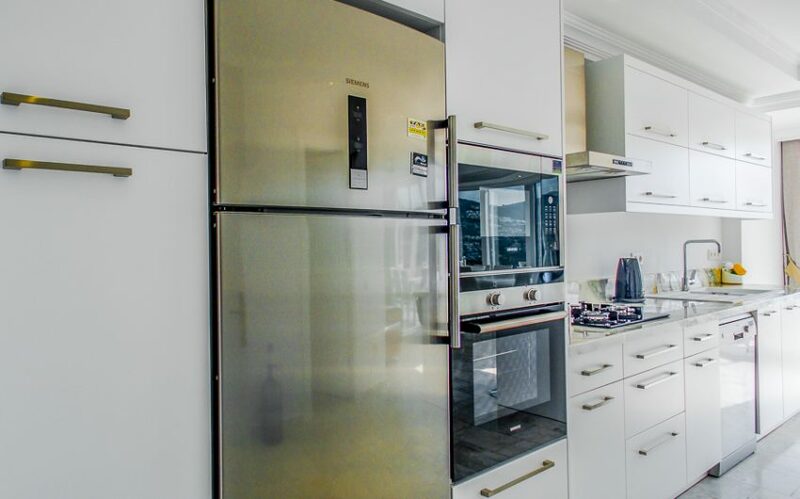 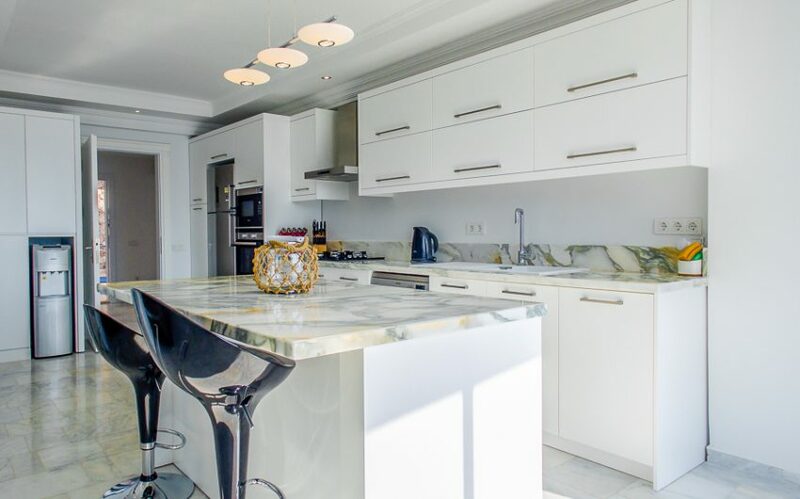 This apartment complex was expertly converted in 2015 from a hotel into 6 luxury apartments; 5 two bedroom rental apartments and the privately owned penthouse. 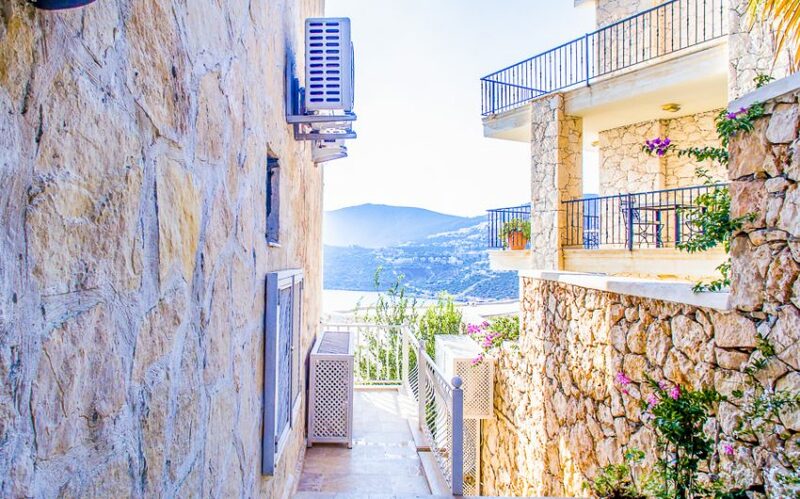 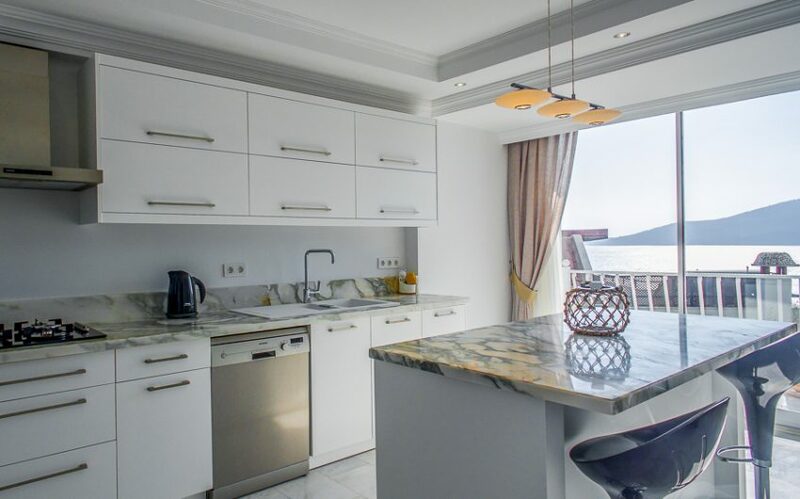 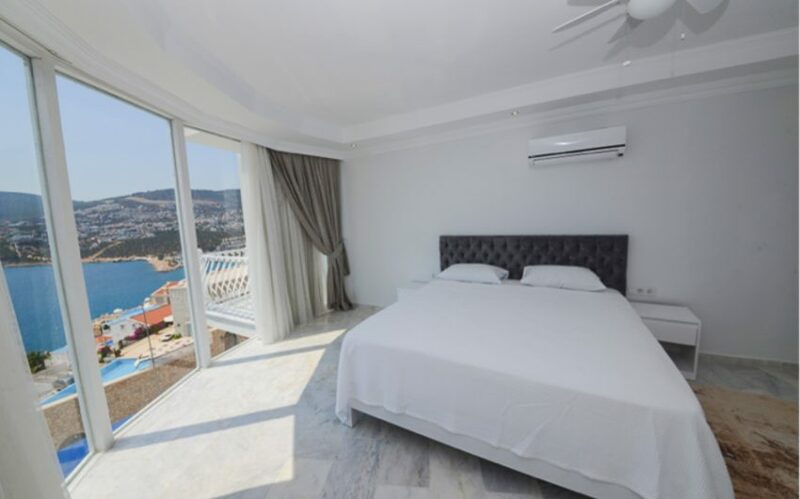 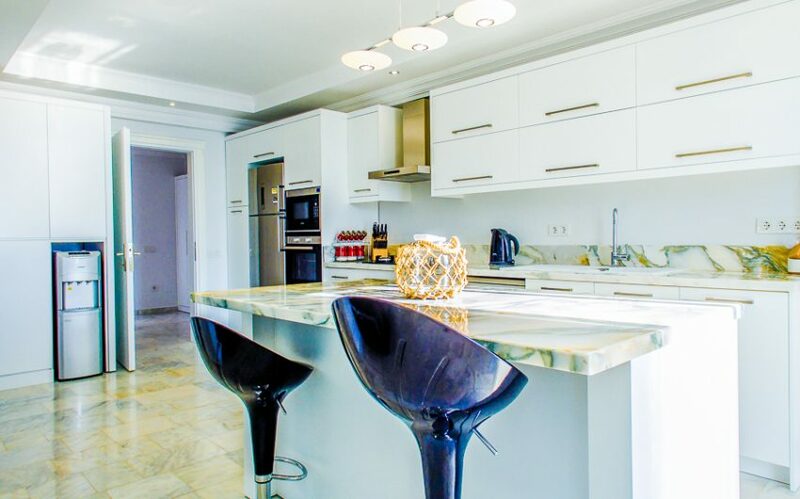 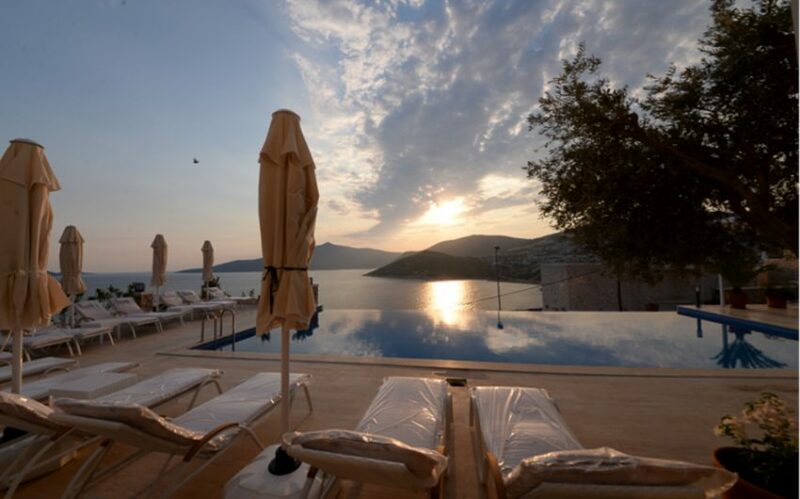 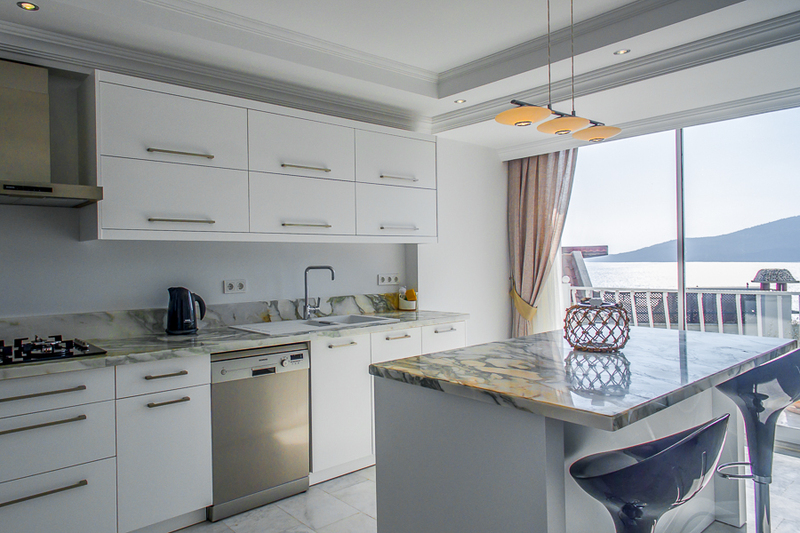 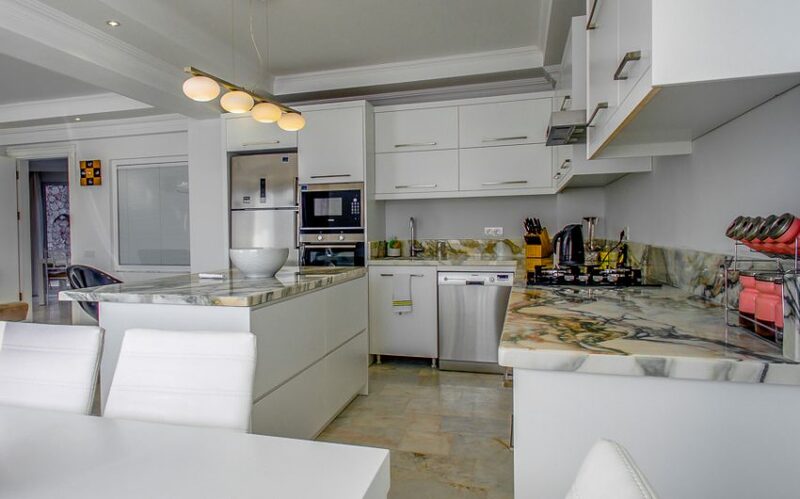 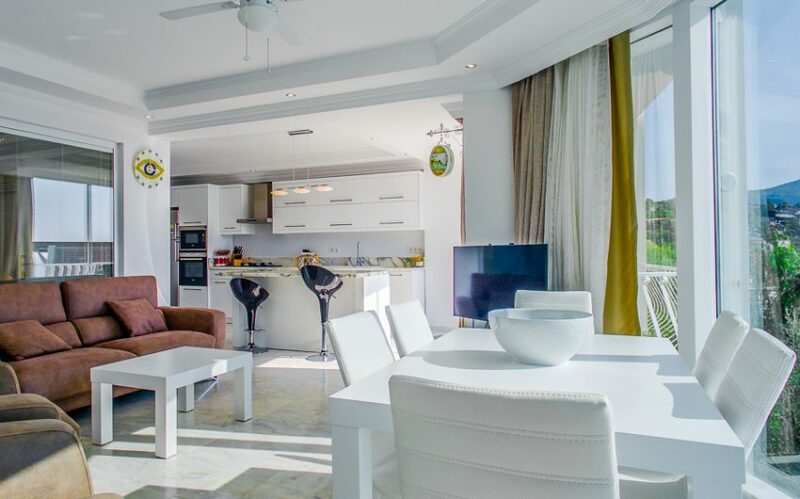 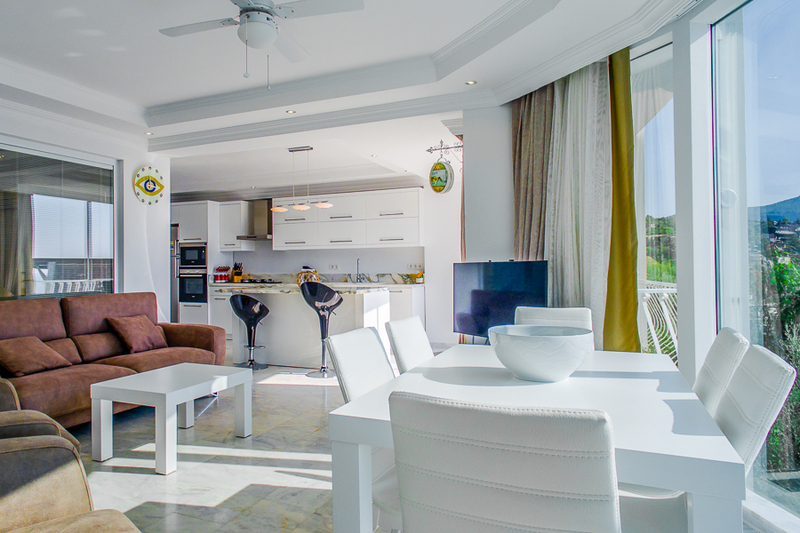 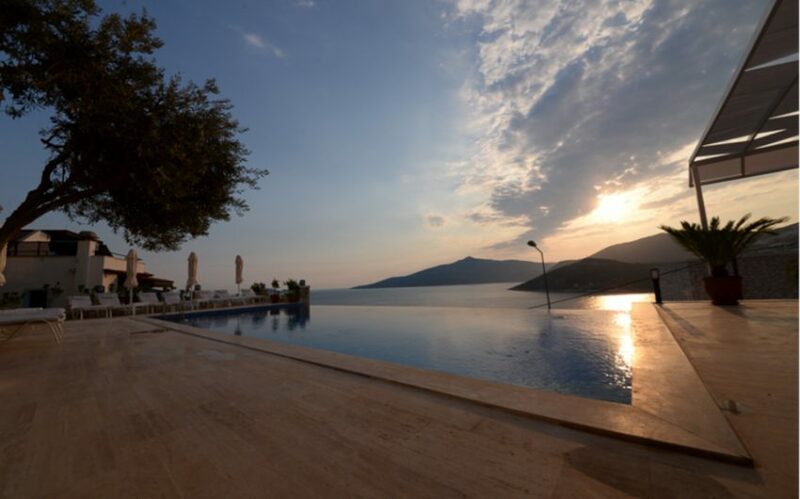 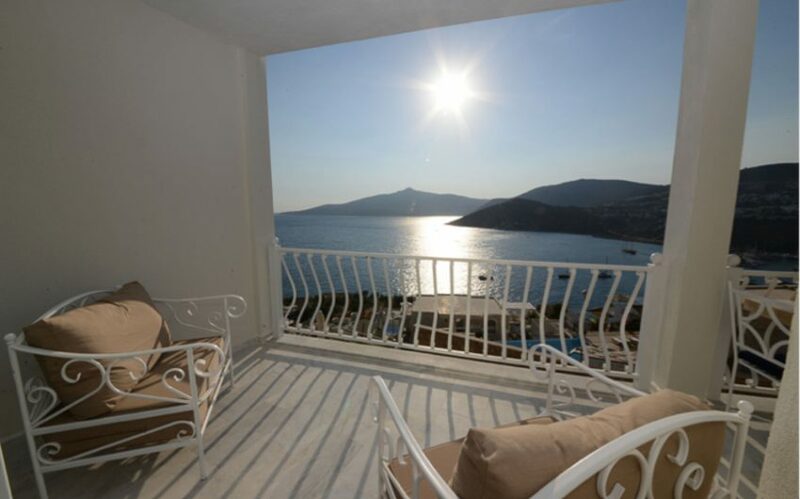 Perfectly positioned at the top of the exclusive Komurluk area, each apartment has breath-taking views over Kalkan bay, which is only enhanced as the sun sets. 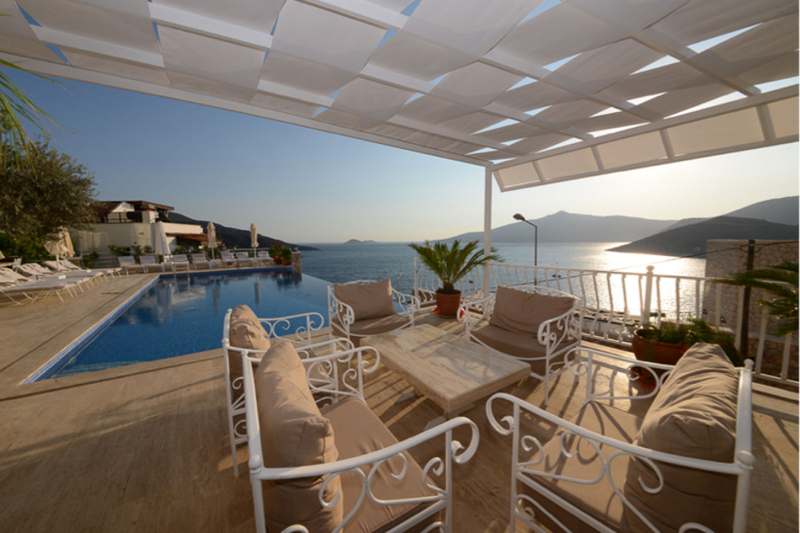 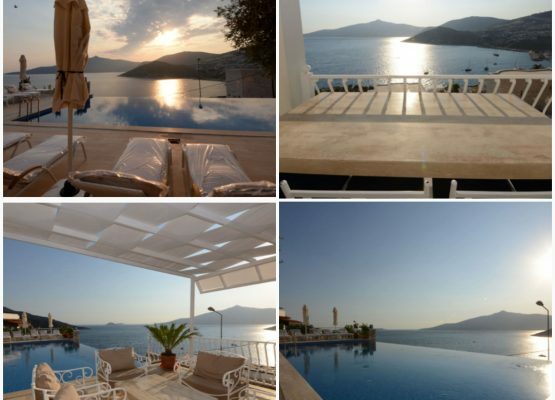 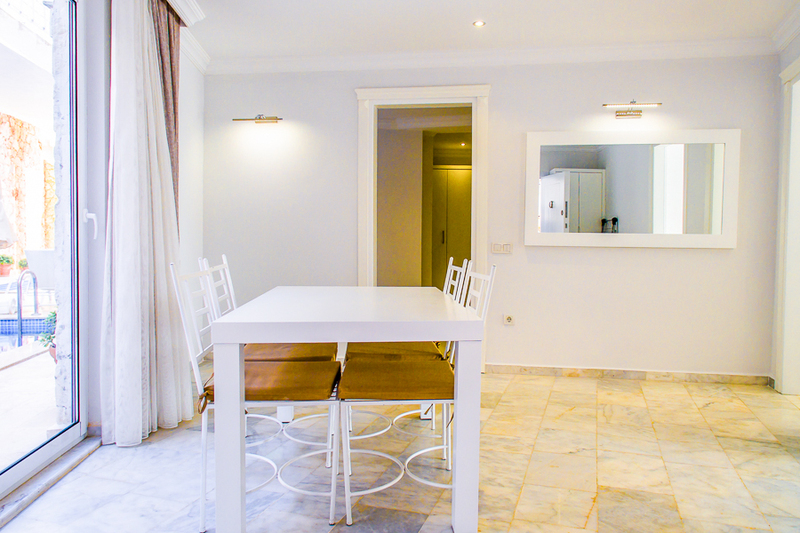 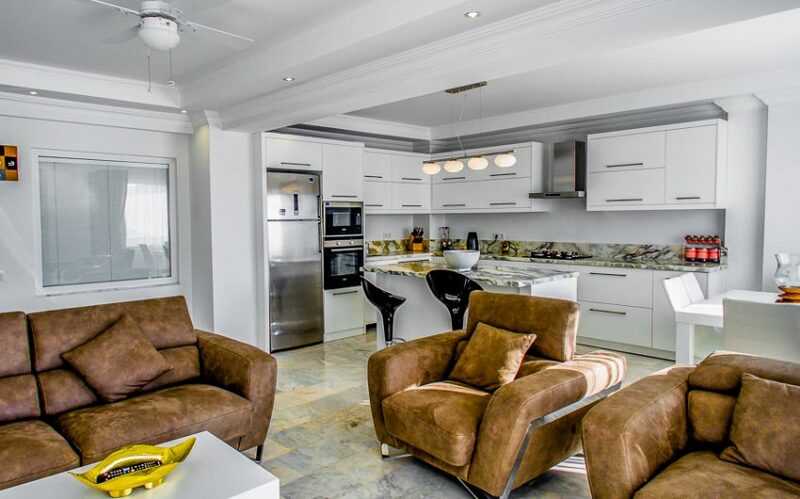 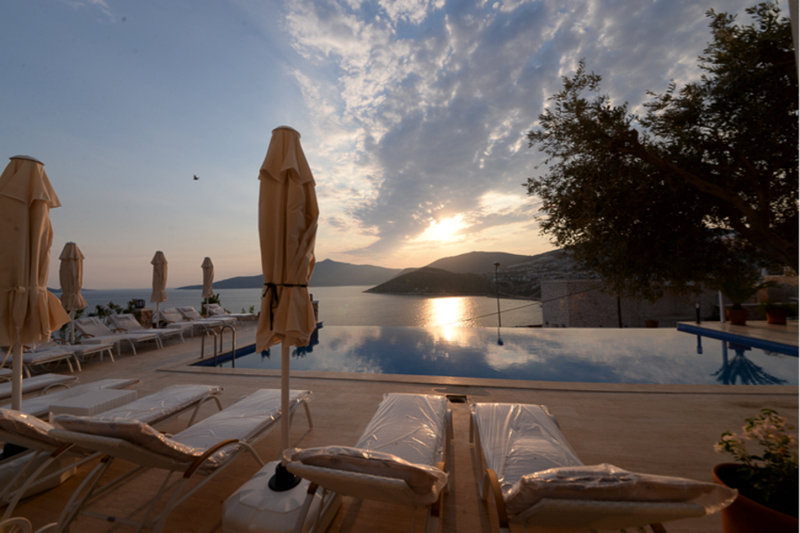 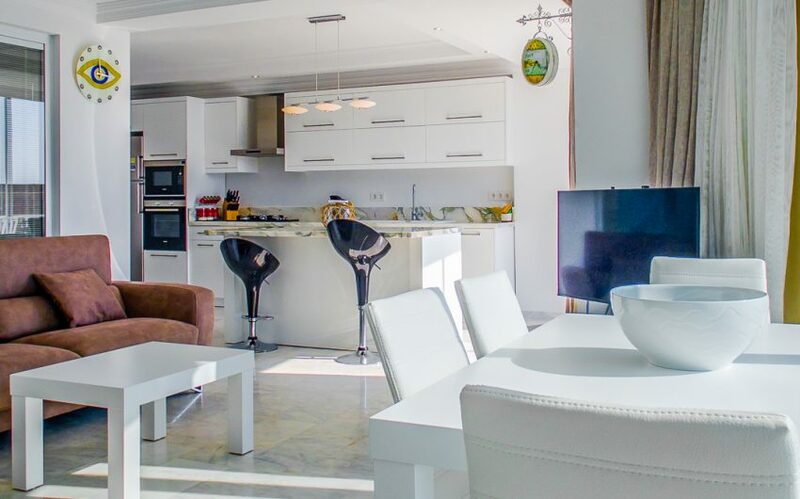 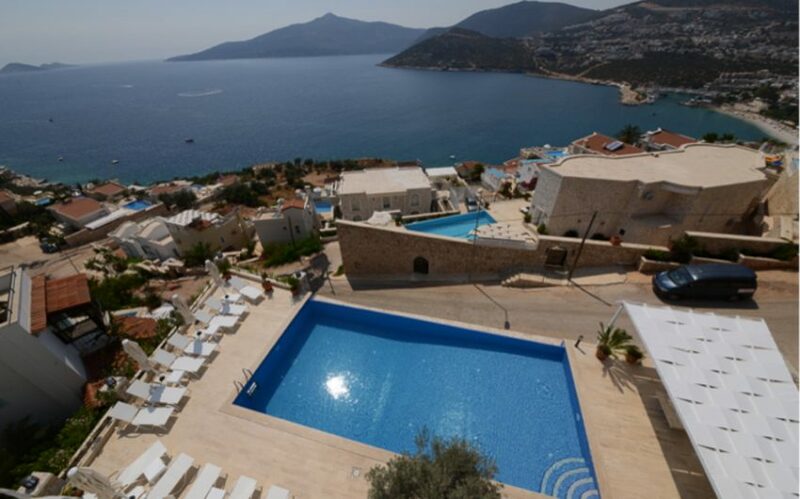 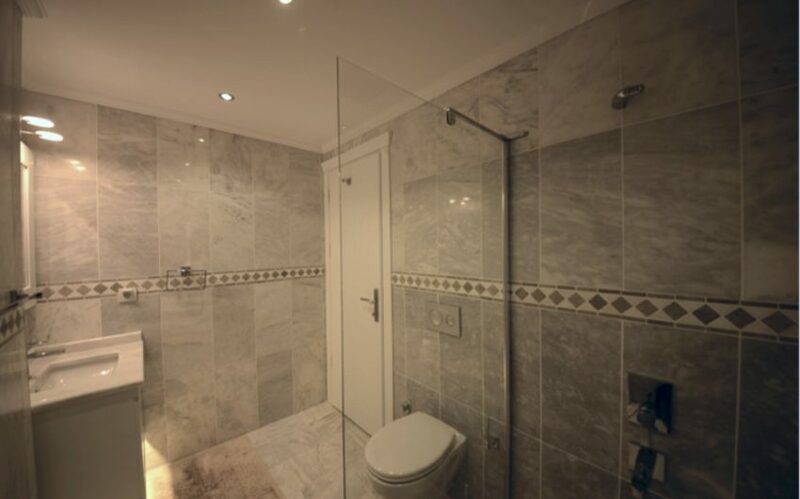 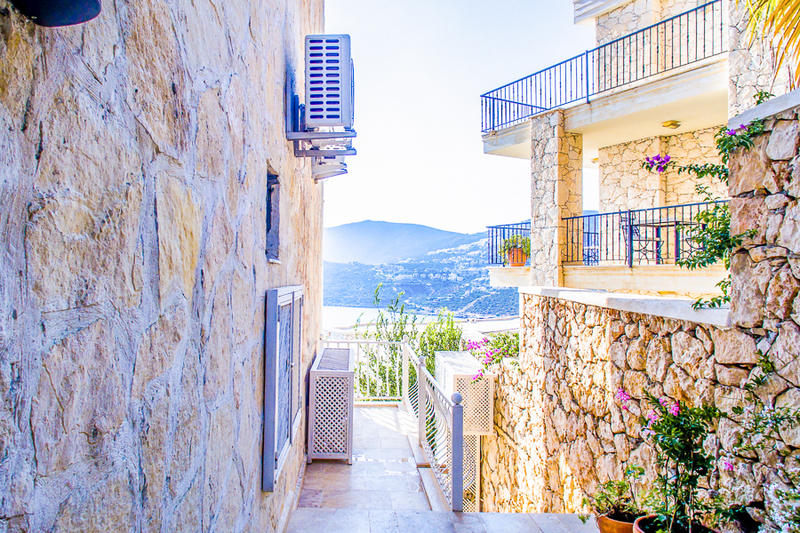 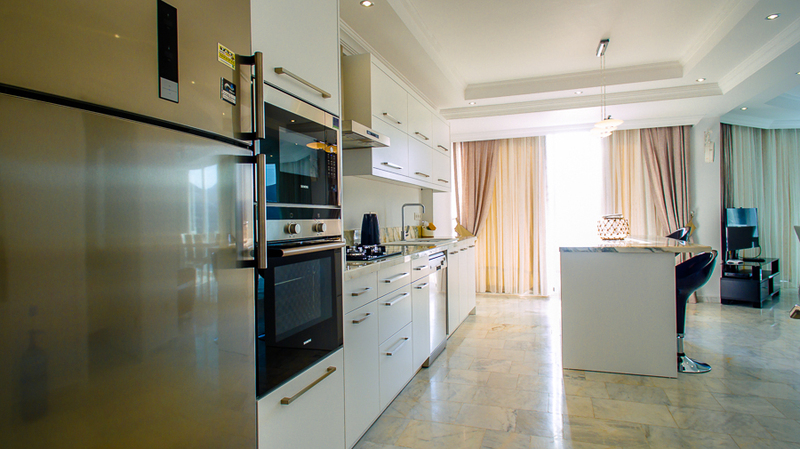 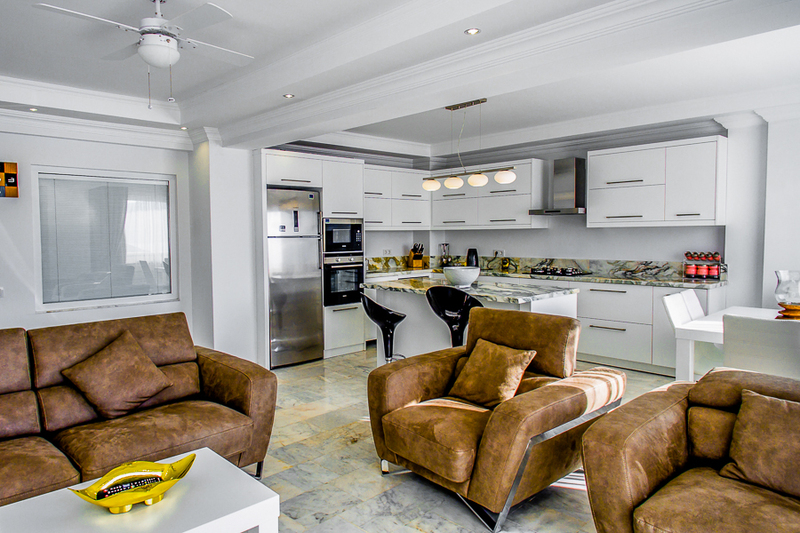 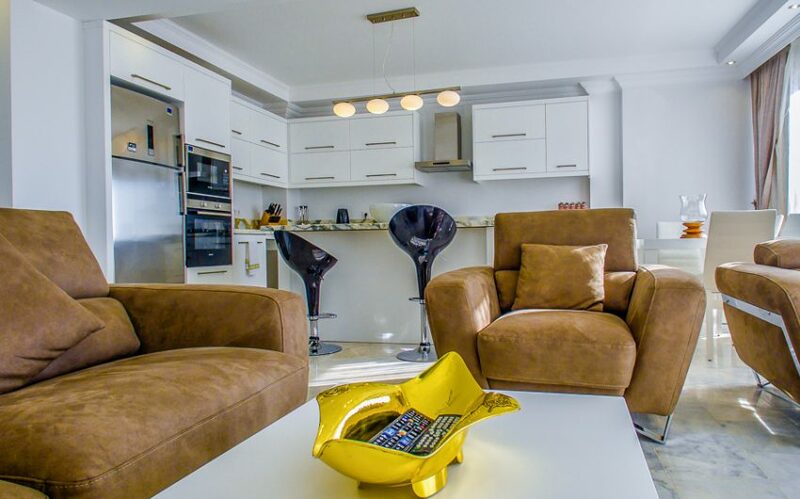 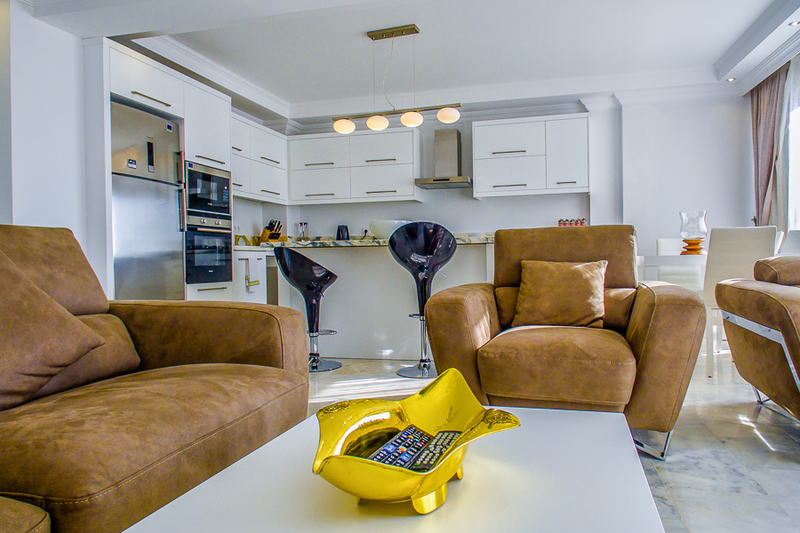 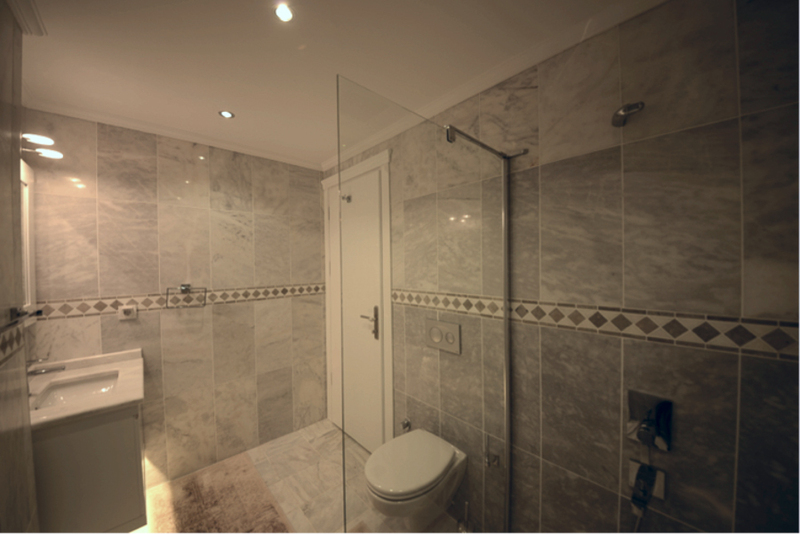 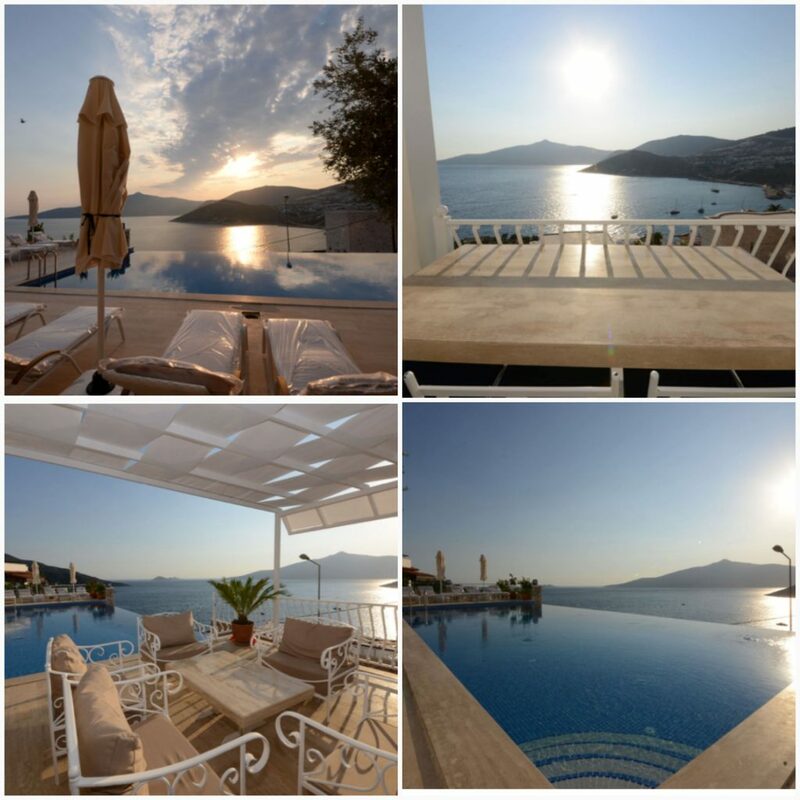 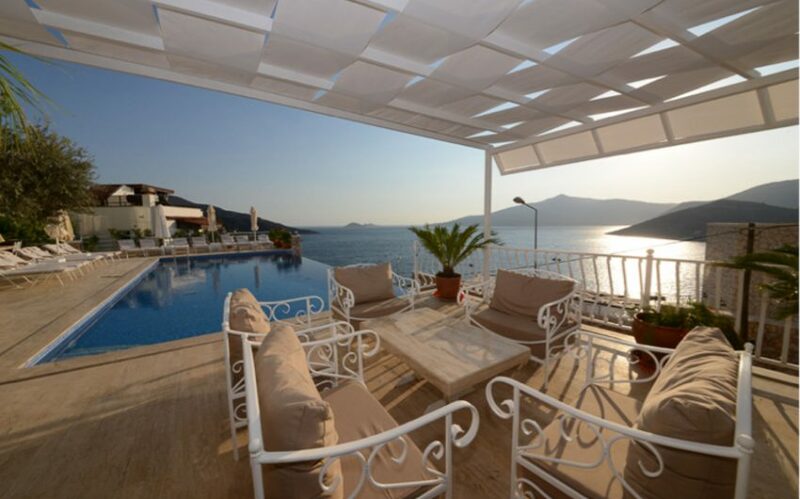 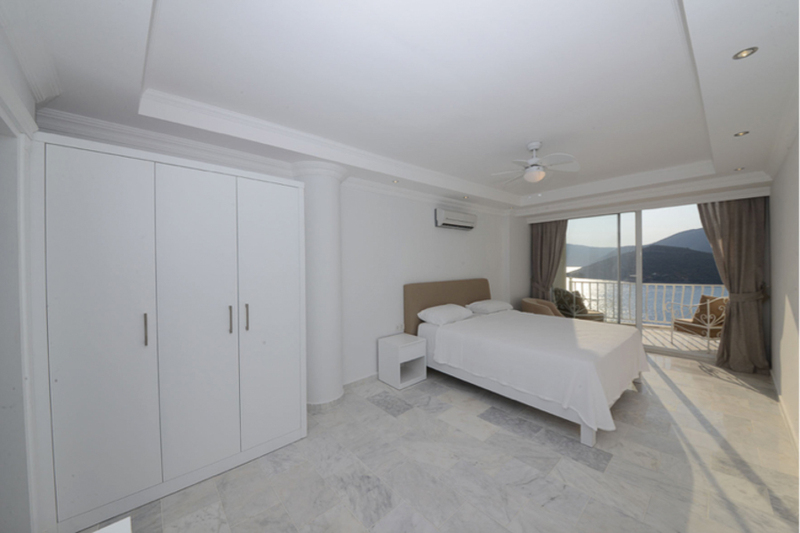 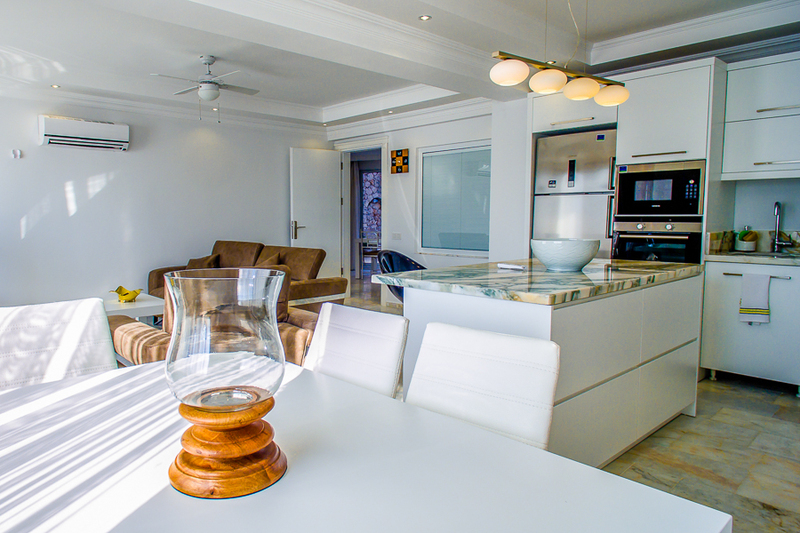 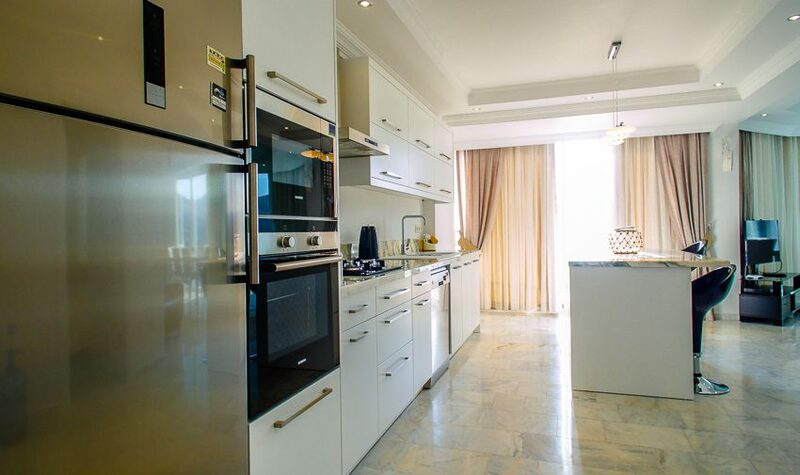 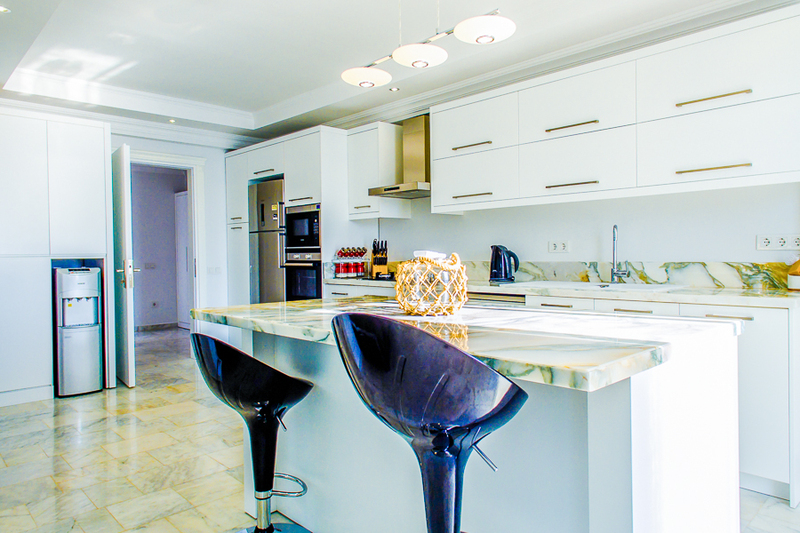 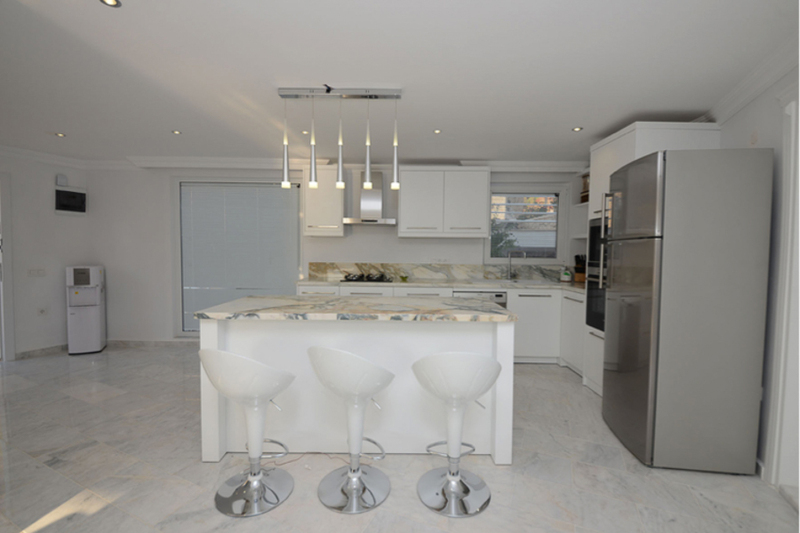 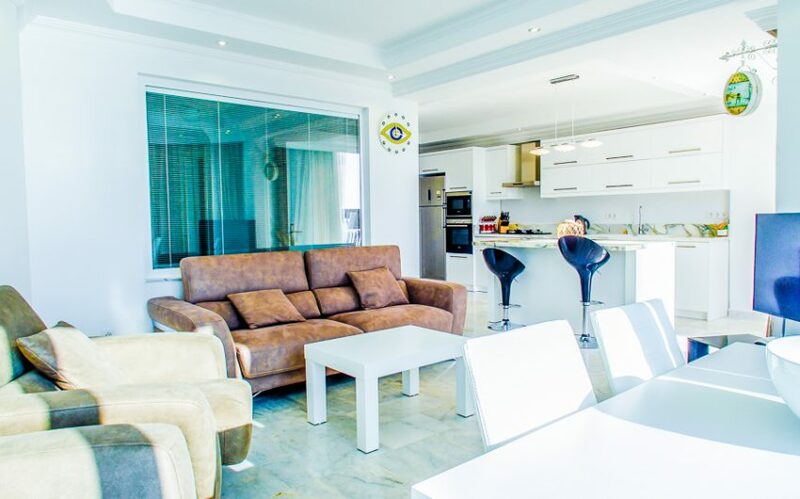 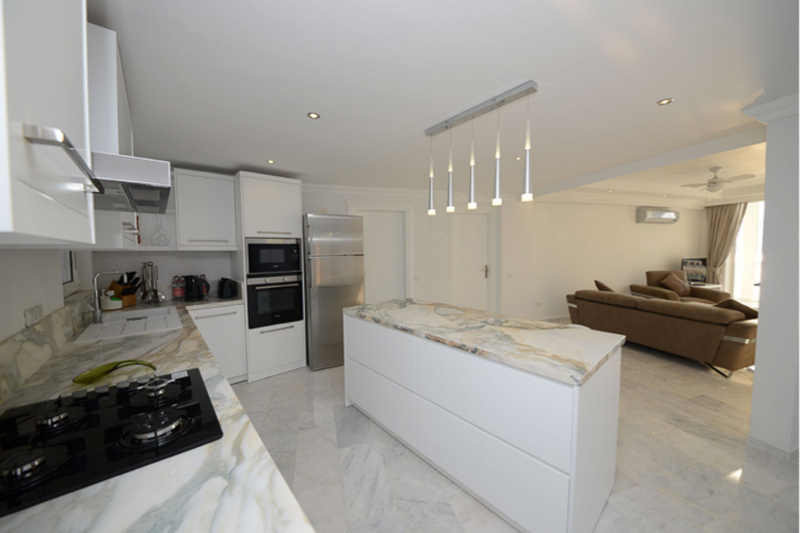 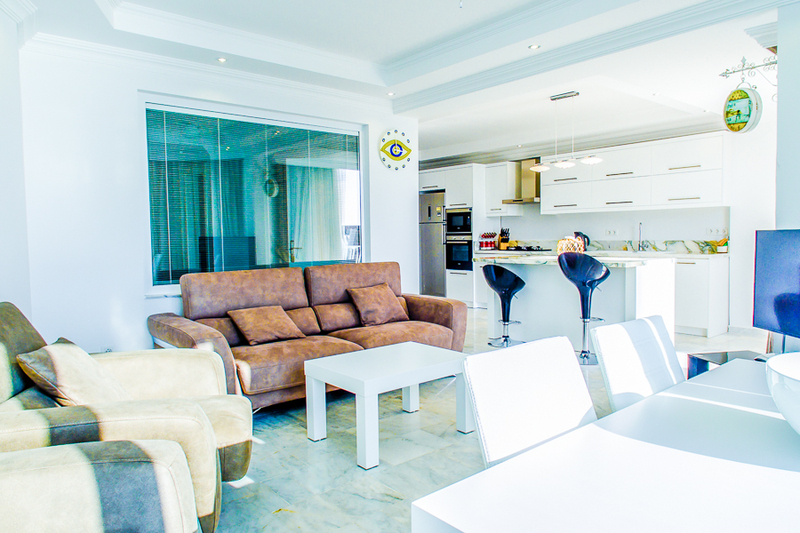 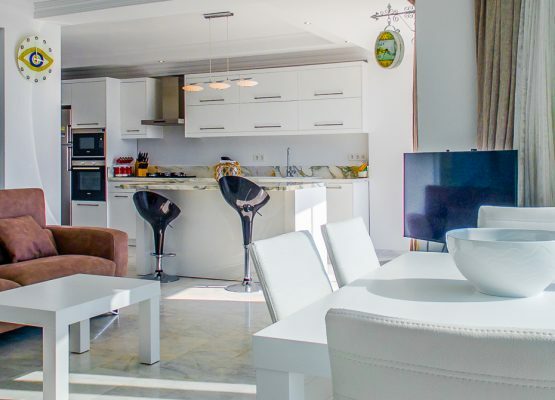 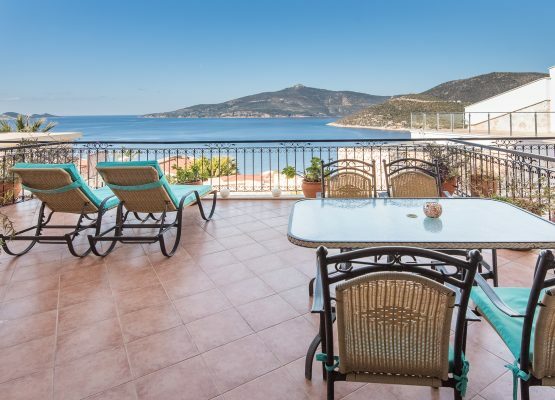 The five apartments we have for you to rent for your stay in Kalkan are across 3 levels. 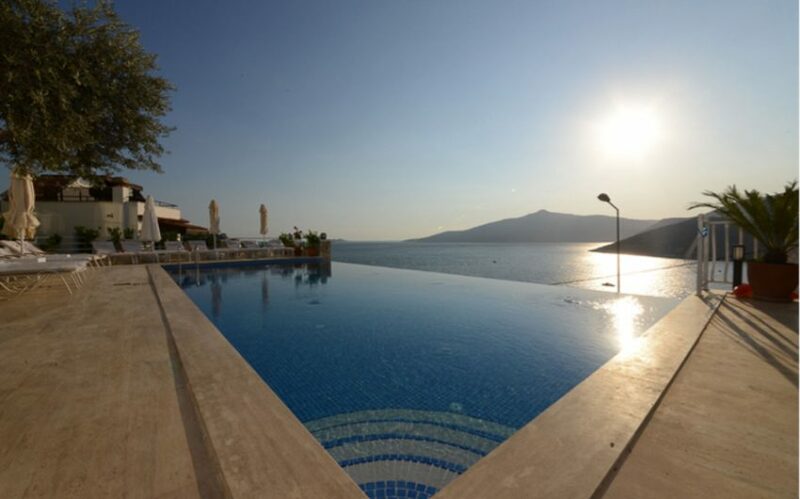 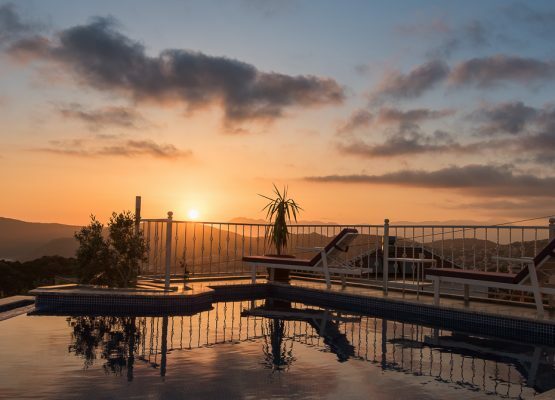 A large, communal infinity pool at the front of the building services all apartments, while the two 1st floor apartments also enjoy an additional private pool each at the rear of the apartments. The refurbishment was designed for luxury and comfort and to take optimum advantage of the superior views. 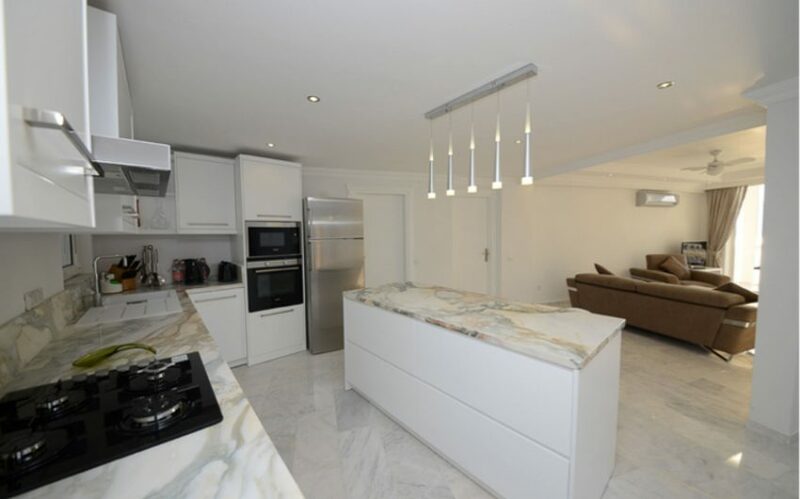 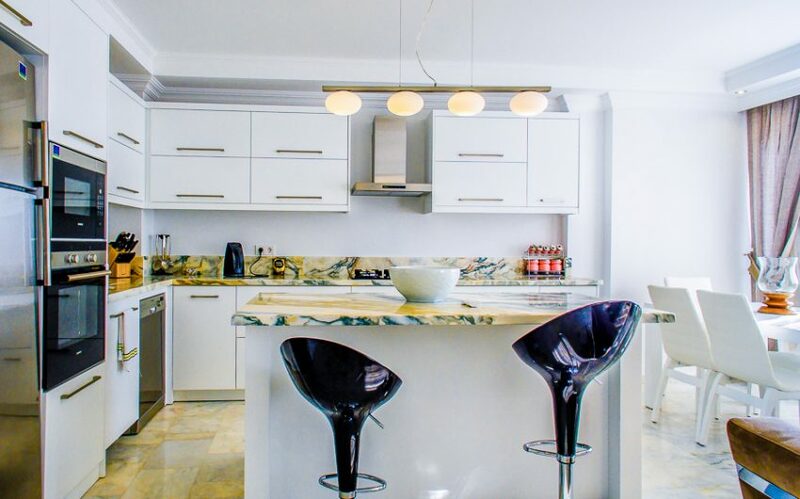 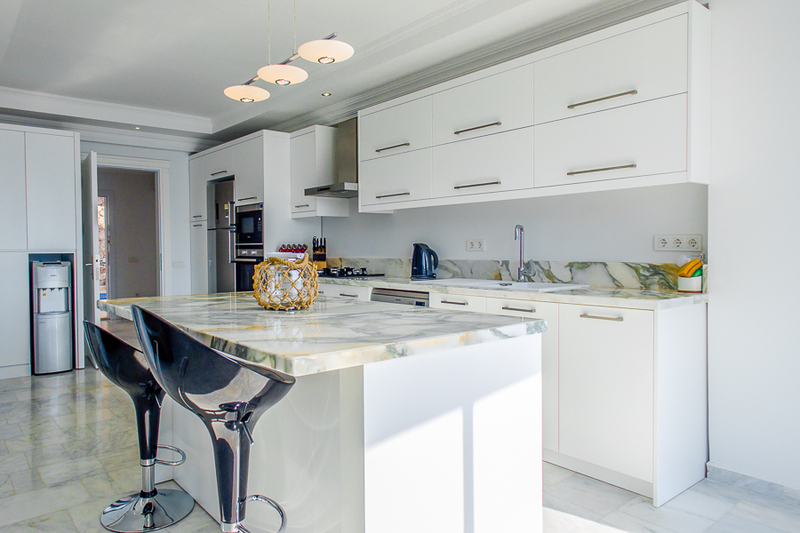 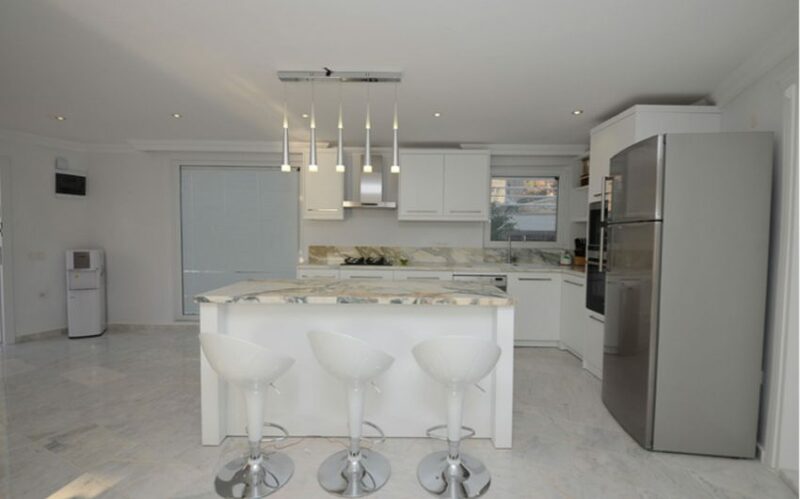 Beautiful marble surfaces have been laid throughout open plan interiors, with large sliding doors opening to balconies, allowing the gentle breeze to flow through, helping the apartments to remain cool and making the most of incredible natural light. 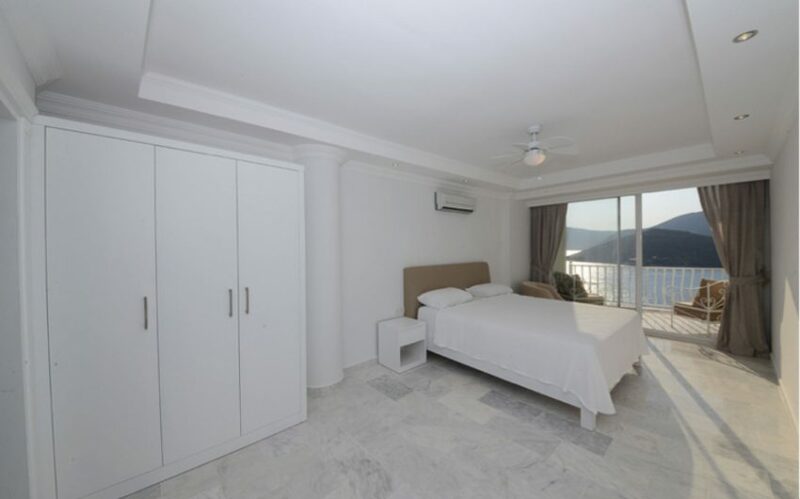 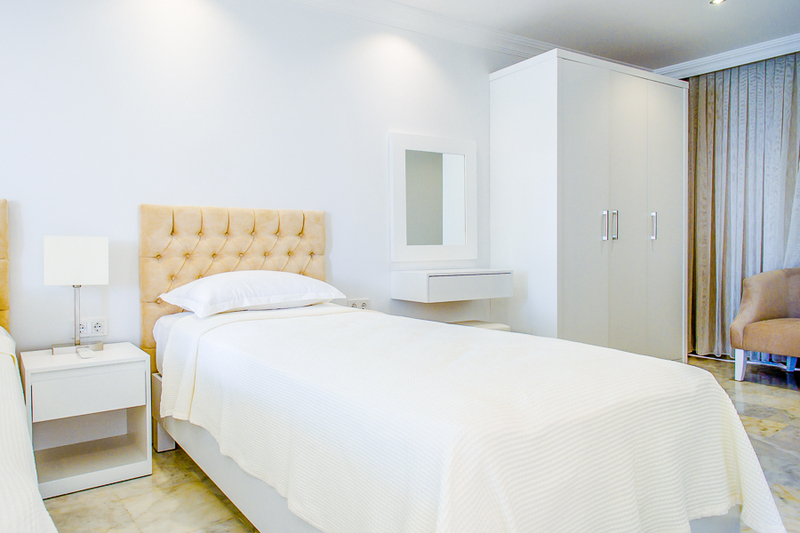 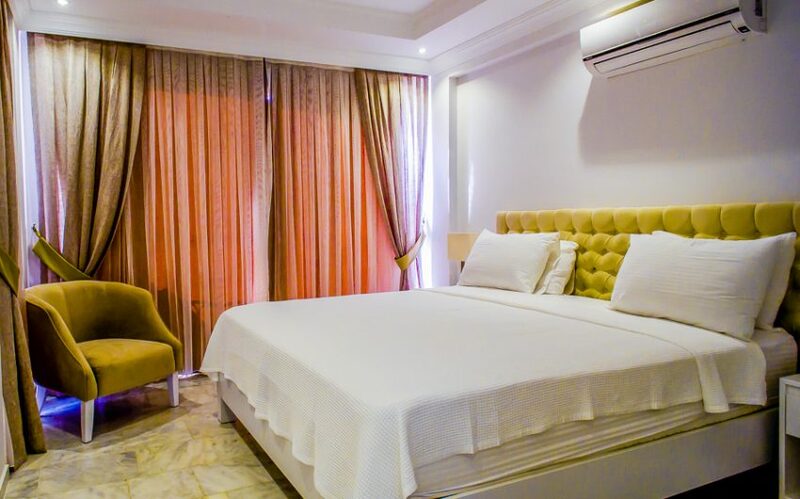 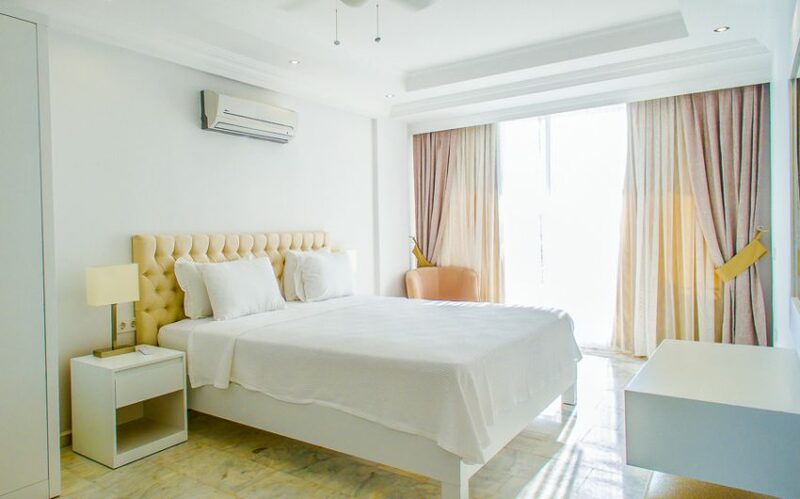 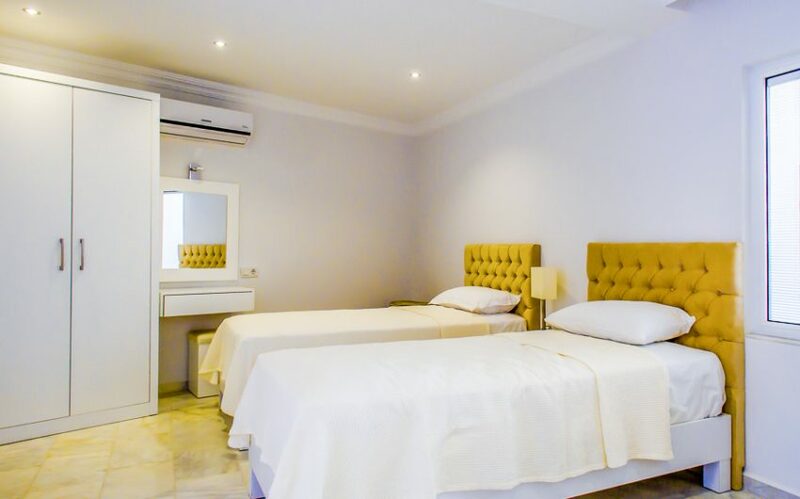 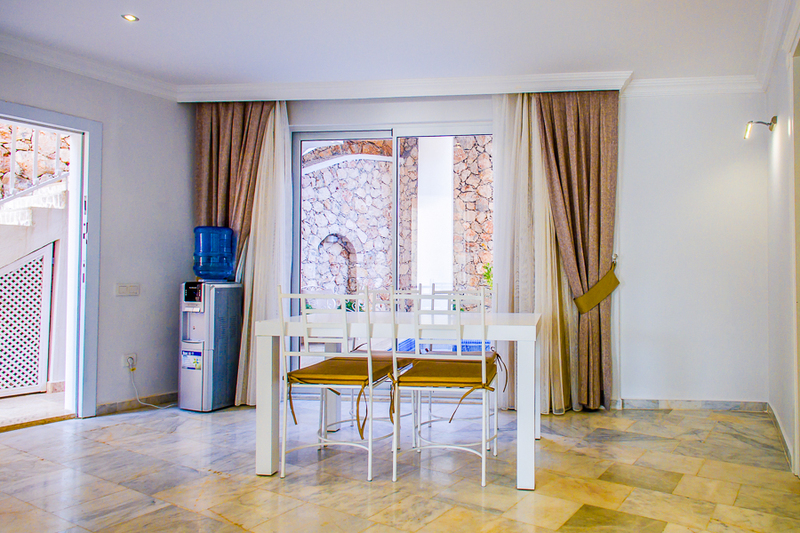 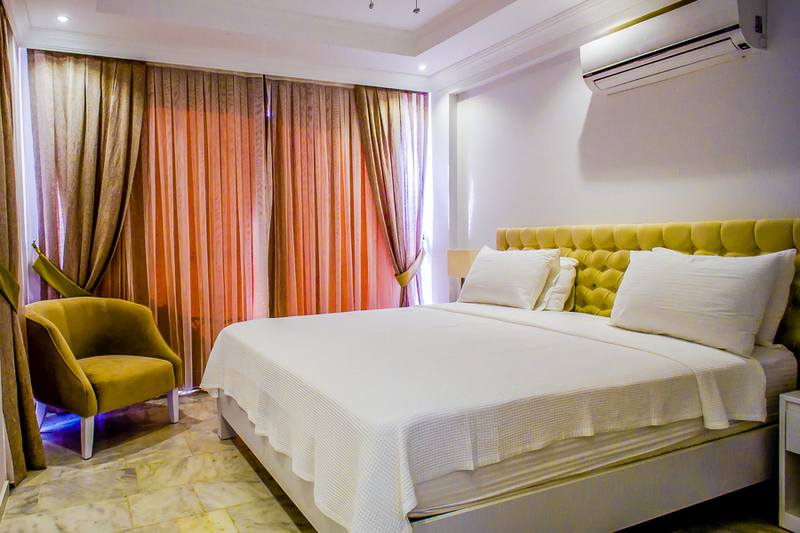 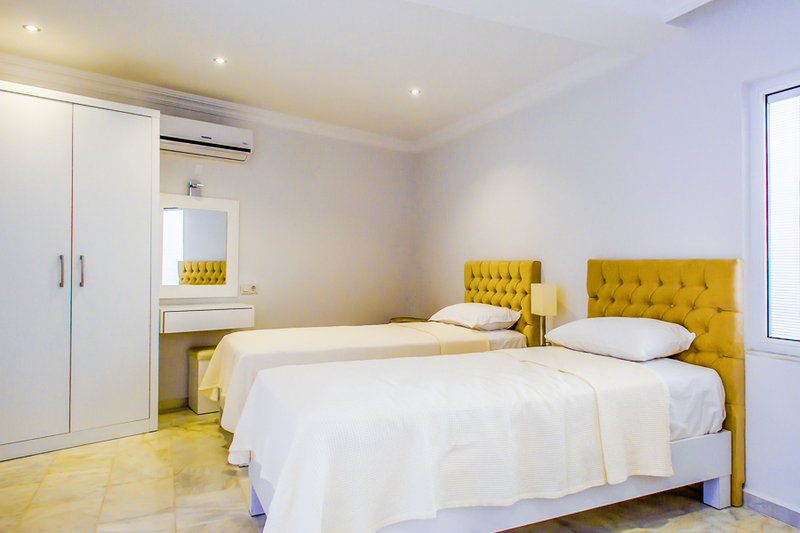 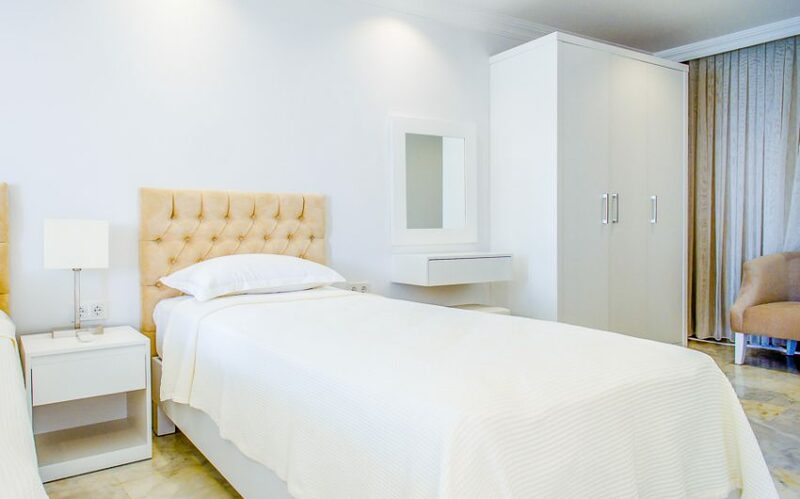 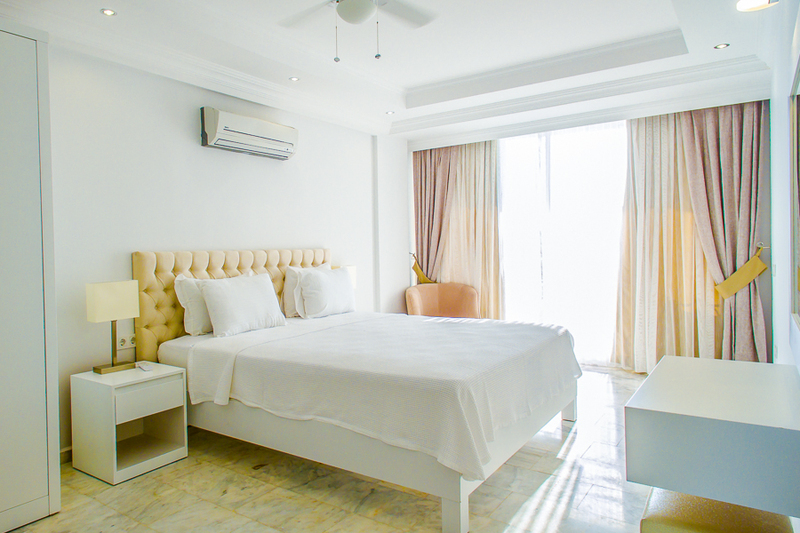 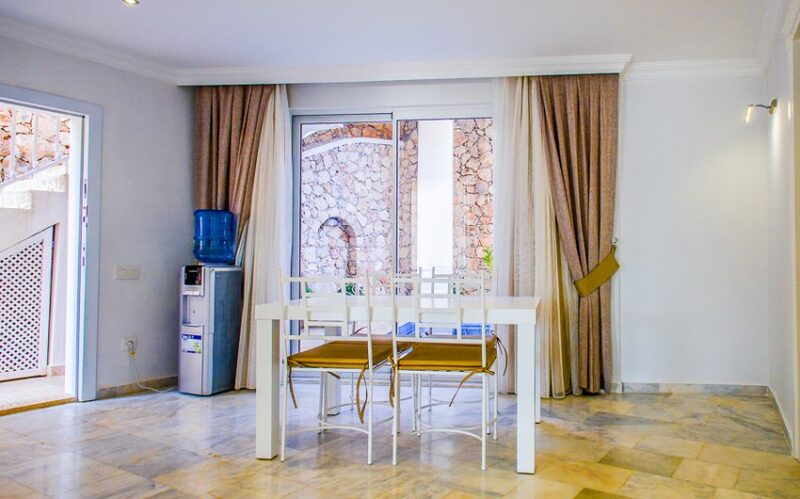 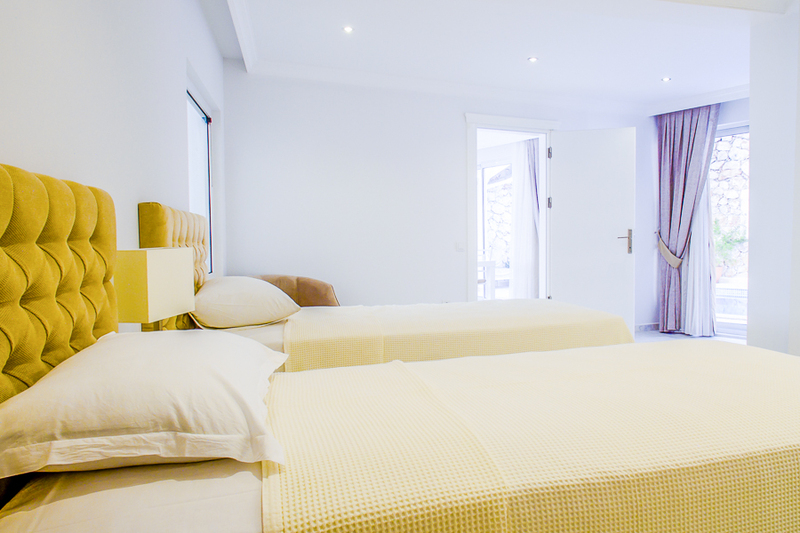 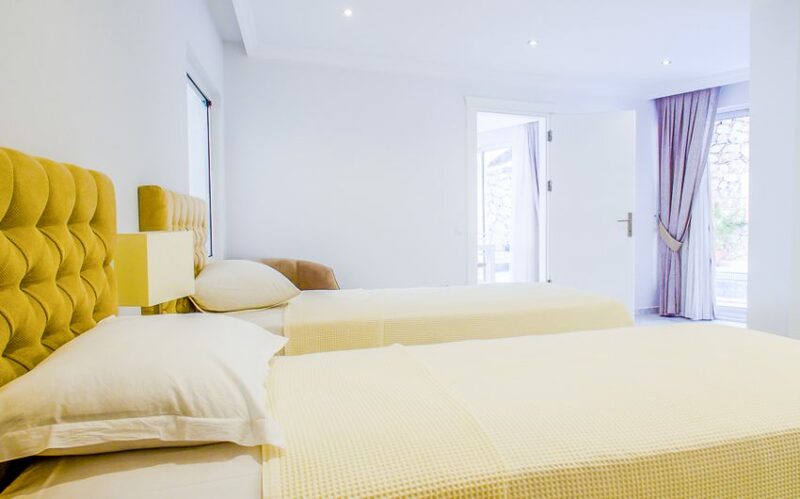 All the apartments are air conditioned throughout, have a double and twin bedroom, 2 bathrooms, fully equipped kitchens as well as washing/drying machines for your clothes. 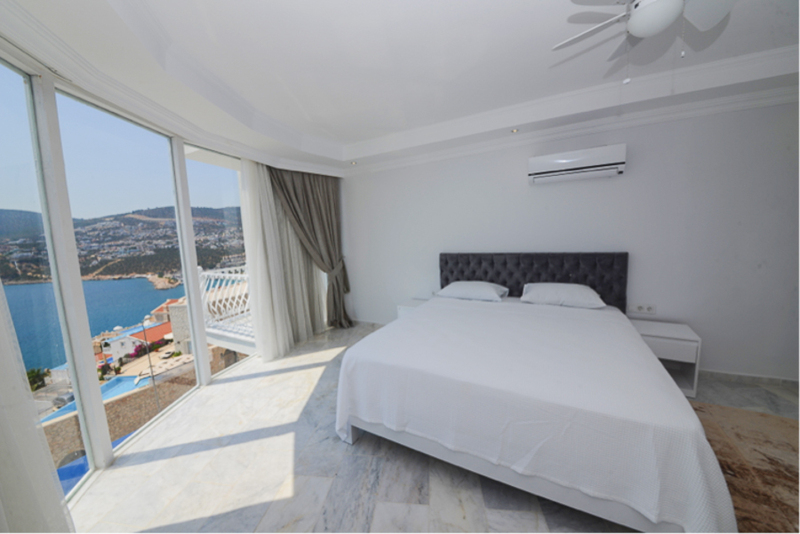 There is a TV in each apartment, but with the stunning views of the bay outside the large windows, we are not sure you will make much use of it. 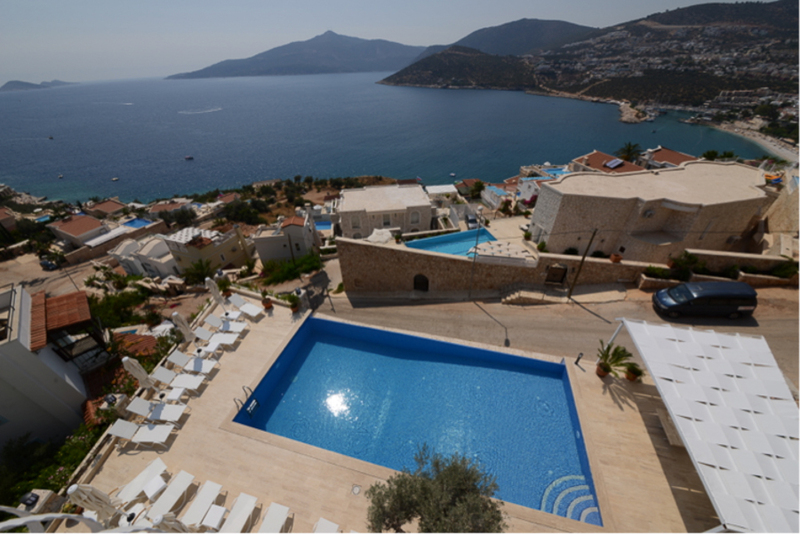 The town centre is less than a 10 minute flat walk away and several public beach clubs are just minutes away, by foot. Please contact us directly for latest special offers and to check availability.